cartoon of the week: who wore it best? Okay, that’s hilarious. 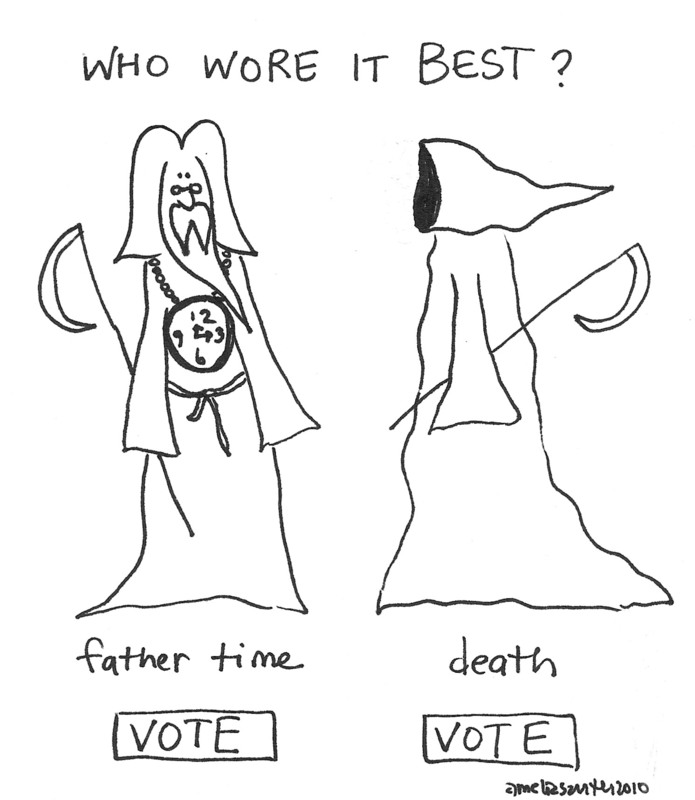 Dare I say the Grim Reaper wore it best? It’s the simplicity of Death’s outfit, I think, that makes it appealing. No bling; no belt to accent his aging middle.